Planning a wedding is definitely not an easy task. It involves time, patience, creativity, perseverance and it sometimes becomes a burden instead of a fun time. You don't want that - you want to enjoy your wedding day and not be stressed about the little details. Leave that to your vendors, each will piece together your wedding puzzle and make your day flow smoothly. Below I have highlighted not only some of my favorite people I have worked with, but also venues and other details that have stood out to me and felt they were worth being highlighted. Hi! We’re Justin and Kelsey - a husband and wife creative team specializing in timeless, story-driven, heirloom quality wedding films. After a 4 month engagement we got married in 2010, and life has been a wild and crazy ever since. We’v moved 5 times, traveled to 20 states and had 2 babies who, somehow turned into a 3 and 6 year old all of a sudden. We realized we needed to slow down a bit while the kids are still young, so in early 2017 we loaded up the kids and pets and a few suitcases full of stuff and made the 2,000 mile drive from Texas to Washington. We all love a good adventure and feel refreshed by being outside, so we’re really thankful to be living on beautiful Whidbey Island near Seattle, WA. Justin went to Journalism school and studied under some very impressive Pulitzer Prize winning Photojournalists and Combat Photographers. After graduation in 2008, he worked as a journalist, photographer and filmmaker before filming his first wedding in 2012. Justin personally shoots and edits all of our weddings. Kelsey grew up in a small town in Iowa where she had more pets then neighbors, and she has all of those good “midwestern” qualities you hear so much about. She studied psychology in college and worked as a teacher, counselor, yoga instructor and health coach. She handles our social media and marketing, and works closely with each of our couples from start to finish, to make sure they feel valued and appreciated. Sweet Pea Events originally began in Seattle in 2007. The founder of Sweet Pea Events moved to Dallas and began operating there. When my husband and I decided to move to the PNW, it only made sense to re-open the office in Seattle. Sweet Pea Events now has three locations in Dallas, Seattle and NYC. There’s something so special about planning with a couple and executing their dream wedding! Witnessing the joy and love on a couple’s face on their wedding day is a feeling I just can’t explain! I’d love to help create that feeling for you! Hello! My name is Katy Warner and I have lived in the Pacific Northwest my entire life. I graduated from Seattle University and my husband and I love living in the Emerald City. We are proud parents of two amazing kids who melt our hearts each and every day. Why choose a planner for your special occasion? It comes down to experience. Knowing what to anticipate, what questions to ask and what is feasible within budgets can save you time and money. More important, an experienced planner can avoid unpleasant surprises and mishaps on your special occasion. My goal is to conceptualize your vision, alleviate your stress and make your big day memorable! I have helped coordinate all types of events and weddings: from grand sit-down weddings with no budget, to small backyard weddings on a tight budget, and many events that fall in between. I am happy to tailor any of my packages to best suit your specific needs. Schedule an initial consultation so we can discuss which package is right for you. We can either do it over the phone or in person. I hope to be working with you soon! "Chloe is amazing at what she does! Her energy is electric and watching her in action made a big impression on me. She is caring and thoughtful while being very organized. She has great ideas and is ready for anything. She also has a gift with people and I'm thankful I got to work with her and I look forward to the next time." When you think about planning an event whether it be a birthday, wedding, or corporate party, there are a lot of things that come to mind to make sure your event goes swimmingly. From the flowers, food, and drinks, to the venue, photographers, and decor all of these aspects can become a cluster of stressful tasks to keep up with. For these reasons CME Experience is here to lend a hand in all of your event planning responsibilities. You should be excited and thinking about what outfit you’re going to wear, rather than wrapping your mind around all these stressful errands you need to make for a successful event. Let our fantastic and organized event coordinator ease your mind and take on these planning assignments. Whether you are in need of an coordinated wedding planner or quick and efficient corporate event planner, we are here at your service. When it comes to wedding planning you will want someone who is able to handle the most complicated tasks with composure and quick solutions. With our reputable event planners know how to get things done smoothly. We will provide everything you need from planning with your wedding caterer to the venue, music, and flowers. We work with any budget to make your dream wedding come to life! We begin with the most important person in the design process…you! During our first meeting whether that be in person at our showroom, your venue or your home; or on the phone or Skype if you aren’t available to meet in person; we listen to you! This helps us assess your style, your wishes, your personality, your story and what you envision your day to look like. Once we have our questions answered, we put together an initial proposal and send this to you via email. This is a working document that evolves as does your décor plan. Above all, we’re flexible and conscious of your budget and how best to achieve your vision within your budget. We will deliver and install your wedding flowers and décor and often remain through the ceremony so that if there are items for repurposing, we can make sure they are properly cared for. Then after you finish enjoying your day and evening, we arrange for take down and removal of all rental items. We always love seeing our flowers go home with family and friends at the end of the night and try our very best to make sure they can be removed from the venue easily so they can be enjoyed for days after the wedding. Kim Mills is co-owner and Director of Sales and Marketing for Willow and Vine. She has been married to her high school sweetheart for close to 20 years and has 2 children, one girl and one boy. Kim has a creative knack whether shooting photos, stamping, building websites, or designing amazing hair styles. She’s always trying to create something beautiful. Kim loves floral design and arrangements and is an avid floral photographer, which can be seen by her millions of flower photos. In her off-time, Kim is likely to be found listening to an audiobook or editing and promoting her podcast which she co-hosts with Shannon From Ring to Veil – Wedding Planning Podcast. My name is Phuong Minh Nguyen, founder/designer of Dream Dresses by P.M.N. Shortly after graduating from The Seattle Art Institute, I got engaged, and was unable to find the perfect wedding gown; so I decided I would design my own. I ended up with two amazing dresses and quickly realized that I had found my passion. In 2014, I founded Dream Dresses by P.M.N. and started creating custom and unique designs for clients in every part of the world; I truly love everything about it. We operate in our private studio in Sammamish, WA, USA, and our goal is to provide brides with an alternative to the mass-produced dresses that are available at large chain bridal shops. Dream Dresses by P.M.N cannot be compared to off-the-rack. We specialize in creating custom one-of-a-kind, hand beaded, couture gowns, using the most luxurious fabrics available. I work with each client individually, and design a unique gown based on their specifications. Our second west coast shop-in-shop is conveniently located on the upper level of Anthropologie in the heart of Seattle’s Downtown Shopping District. We knew it was perfect when we took in the beautiful design of the building's original façade and saw natural light pouring in on all levels of the store; really, the space seemed to be made for brides trying on wedding dresses. Drop in to browse our assortment of bridesmaid dresses, accessories, mother of the bride dresses, and party décor, too! Only blocks from quintessential must-sees, like the historic Pike Place Market, Seattle Waterfront, and Space Needle, our bridal shop is also just a stone's throw from the most charming restaurants and coffee shops, perfect for making a day out of wedding dress shopping. MeaMarie Bridal Atelier is a Seattle based bridal couture studio featuring the world's leading fashion designers. We work with you by appointment on a one-to-one basis to ensure that you will enjoy the experience you deserve. MEA MENDEZ - My name is Mea Mendez and my love for the bridal industry began in 1998 when I had the opportunity to work with two sisters; both gifted designers who created all of their own dresses. MeaMarie Bridal Atelier is another dream come true because now we are able to offer Haute Couture designs from around the world. All of us at MeaMarie are delighted to become part of this special time in your life and it's our goal to help make your dreams come true on your big day! RACHEL WITT - I am Rachelle Witt, the store Director for MeaMarie Bridal Atelier. As a young girl I watched my mother, a gifted seamstress, meticulously hand stitch amazing wedding dresses. When I turned fourteen I was the youngest assistant "hired" by a local bridal salon. At sixteen, I became a prom consultant, and by seventeen I was modeling and involved in fashion and trade shows. Needless to say, I love this business! The BRIDAL BEAUTY AGENCY is an elite boutique agency based in Seattle, serving local and destination weddings. Our top makeup artists, hair stylists and nail designers have years of experience in Fashion, Beauty, Red Carpet, TV and Film industries. We offer our modern brides a full range of à la carte beauty services on location and in studio. Our team works diligently to ensure that every bride receives the best quality products and services with personalized attention. The ultimate goal is to create your perfect bridal look. Whether it's natural, romantic and soft, or dramatic, our stylists are able to deliver results that bring bridal beauty service to the next level. Jen is a licensed Seattle makeup artist and hair stylist who is recognized for illuminating her client’s natural beauty for over 10 years. She takes pride in enhancing her client’s best features while creating a look that fits their personality, lifestyle and vision. Jen's work has been seen in print, television and even the stages of fashion runway shows. Dedicated to education, Jen is always fine-tuning her skill set as a professional beauty expert. She has traveled coast to coast in the pursuit of staying on the cutting edge of trend and technique. A former educator for Paul Mitchell, Jen believes knowledge is power and enjoys giving makeup lessons just as much as spending a day on set. Working on art projects and editorial photo shoots gives Jen the opportunity to be creative and explore colors, textures, styles and new techniques. She enjoys the creative process of collaboration, whether it is bouncing ideas between art directors, stylists, and photographers or designing a look for her clients. Being able to see how her makeup and hair can compliment fashion styling to change a model’s appearance and create a story is a great feeling. A warm personality and high level of professionalism are two characteristics that Jen holds to the highest regard. Jen ensures that every client she works with leaves feeling beautiful, confident, and relaxed. Creating the perfect backdrop for your wedding day has been our passion for over ten years. From our beautiful farm fields to our rustic barn, every detail of our venue has been crafted with the special needs of brides in mind. Here you will find privacy, beautiful grounds, ample room for your guests, indoor and outdoor ceremony sites, a charming bridal cottage, plenty of parking, and exemplary service from our staff. We take pride in knowing that countless couples have had their happiest days spent at the Kelley Farm. We offer the perfect countryside backdrop for your most memorable moments without sacrificing comfort and convenience. Our wedding barn is fully updated with heated floors, modern bathrooms and AV equipment. Your guests will find hotels nearby, as well as retail stores and easy access to main highways. Kingston House is a 15-acre, park-like wedding venue and lavender farm in north Kitsap County. Located just 5 minutes from the Edmonds-Kingston ferry and 13 miles from Bainbridge Island, we are a destination venue that’s conveniently close to Seattle and Tacoma. Family-run, we are committed to making your special day a wonderful experience for you and your guests. The Monte Cristo Ballroom is found when you walk through the elegant front doors of the Hotel Monte Cristo in Everett, Washington. The precise, commanding Italian Renaissance building was built in the Roaring '20s and once hosted many big players in Northwest US history. It was closed in the 1970s for code violations, but now the newly restored grand foyer and ballroom are special event spaces for any couple's wedding celebrations. Built in 1931 as Bothell Junior High, the art-deco style Anderson School and its surrounding buildings has been transformed. Located 20 minutes from downtown Seattle, McMenamins renovated the property to include: 72 guestrooms – all with private baths, televisions and free Wi-Fi; restaurants, small bars, a brewery, a movie theater, a swimming pool and event spaces. The 5 private event spaces will accommodate groups of 10 to 600 guests, complete with onsite catering and handcrafted McMenamins beverages. 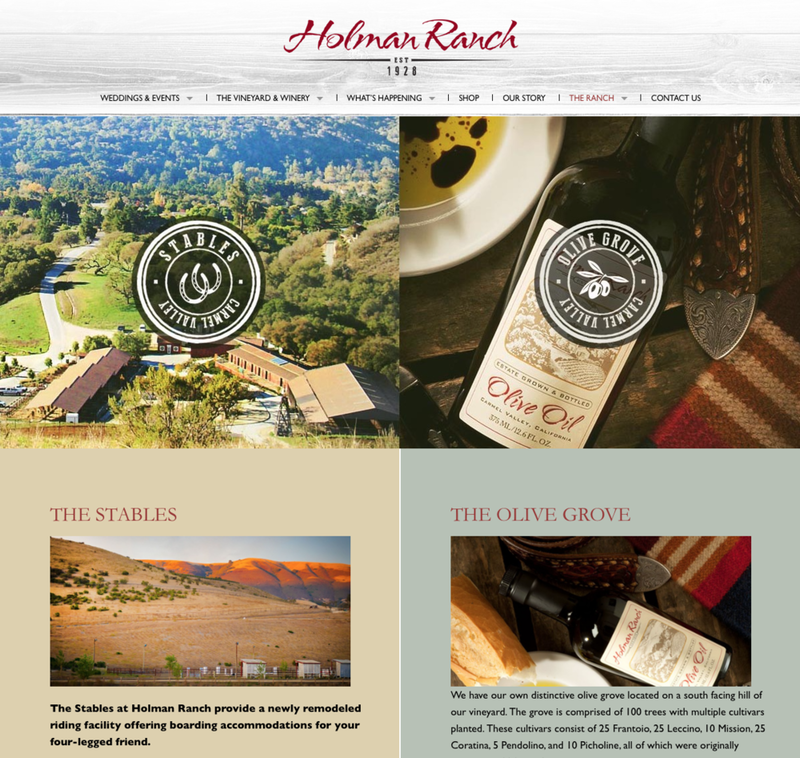 Holman Ranch is elegant and sophisticated, yet charming and cozy, with understated elegance all around. Imagine sipping estate-grown wine in our stunning vineyards, exchanging vows al fresco among the rolling hills, tasting buttery and sumptuous house-pressed olive oil at your rehearsal dinner in our enchanting olive orchard, indulging in the Ranch’s gorgeous grounds, and more. We only hold one wedding at a time, ensuring an intimate ceremony for you and your guests. The focal point of Holman Ranch is its recently restored 1928 Carmel stone hacienda, a magical estate that sits atop a grassy hill, offering breathtaking 360-degree views of the Santa Lucia Mountains. You can stay in the comfort of the most modern accommodations while being surrounded with the distinct feeling of the “original ranch days”. With a breadth of options, your time at picturesque Holman Ranch should not be limited to just a ceremony. Once your vows have been exchanged, time for next steps, enjoy one of the Ranch’s unforgettable experiences. Wine & Roses Country Estate provides the perfect palette on five acres for your indoor and/or outdoor wedding and reception. bar to accommodate all of your indoor needs. However if your set on a tent we have that option also. Of course there is plenty of room for outdoor activities! You dream it and we can make it happen! All of this only 5 minutes away from freeway access! Located at the water’s edge, Ray’s Boathouse echoes the sleek lines and crisp corners of a vintage Chris-Craft. One of the most iconic restaurants in Seattle, Ray’s Boathouse elevates fresh seafood on both local and global markets, delivering artfully composed plates with precision nightly. We love weddings and are excited to help you plan one of the most important events of your lives! We are here to provide stress-free planning, along with our magnificent view and venue. Our polished service and flexibility allows you to have the wedding of your dreams, whether it be simple and elegant, or casual and fun. Our professional event planners are here to ensure you have the perfect day of celebration. We work closely with our couples and their families to design a unique experience, full of romance and delicious food, all while taking away all the stress of planning. Your day will be beautiful and effortless, allowing you to celebrate your love with family and friends. From engagements to weddings, anniversaries to renewing vows, TreeHouse Point is a romantic spot for your celebration! Choose a spot on the river, reserve the Pond Room, or stay the night for your special event. TreeHouse Point also offers an on-staff officiant as well as massage and yoga. Whether your goal is a quiet getaway for two or a life celebration with friends and family, the TreeHouse Point Staff welcomes you! Located in Lakewood, Washington, Lakewold offers landscape architecture by Thomas Church surrounded by rare and native plants, State Champion trees, over 900 rhododendrons, 30 Japanese maples and stunning statuary. A National Historic Landmark, Lakewold's Georgian-style mansion and historic architecture complete the 10 acres where visitors can step back in time to an elegant past or enjoy a relaxing moment to contemplate the future. Drawing inspiration from French architecture, the DeLille Cellars Chateau is a charming reminder of the Lill Family European ancestry, and a nod to our highly acclaimed Bordeaux-style wines. Elegant and inviting with rustic warmth. From the Grand Room, sparkling with brass chandeliers and firelight, to the gardens and ponds dotting the ten acre estate, you will be hard pressed to find a venue with more character and ambiance than our winery home. Using the combined spaces of the grand room which opens onto an expansive old-world style terrace; you may comfortably entertain up to 200 guests. A short stroll away, a hidden lawn nestled among cedars provides a private setting for your ceremony. You can do it all in the extraordinary long stay you are offered with the venue. We host only one wedding per day so that you can truly customize your wedding. Preferred Caterers, world-class wines, privacy and hospitality on a ten acre winery estate... fall in love all over again at DeLille Cellars Chateau. We make it easy to throw a great party at Sole Repair Shop. At Scott Staples’ event space on Capitol Hill, we offer award winning food, gracious service and all inclusive party planning. Named for its original use as a shoe repair shop, Sole repair is a refurbished 1800 square foot loft with soaring ceilings, exposed steel and wood beams, and an operable oversized garage door.